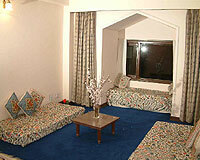 Whistling Pine Resorts is near to the famous Naldehra golf course. 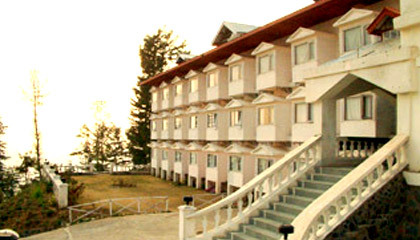 The Whistling Pines Resort is a colonial styled resort set in the green forest landscapes of Craignano Hills. 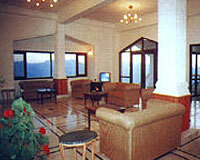 It is a perfect place to enjoy the bygone era along with majestic mountain views and golf. 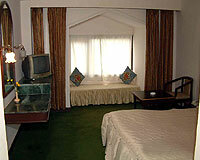 Whistling Pines resort has Deluxe/ Super Deluxe/ Suite rooms of exceptional decor, service with all modern amenities and facilities. 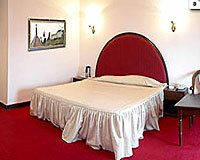 All the 16 rooms have attached bath, hot and cold running water, wall to wall carpeting, C.C.T.V, round the clock room service and EPABX with direct dialing facility. 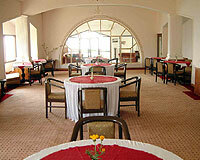 Pines Paradise Restaurant with special international cuisine and bar.